The Manitowish Waters Lions Club is a vibrant, thriving and progressive club dedicated to public service in the heart of Wisconsin's Northwoods. Its history and its traditions are strong. 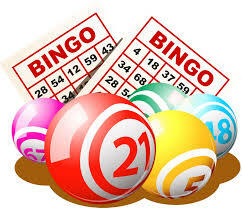 The Club sponsors numerous fund raising activities during the year, the proceeds which are then distributed to the benefit of the greater community. The motto of the club is WE SERVE and members of the club are expected to "step up and help out". 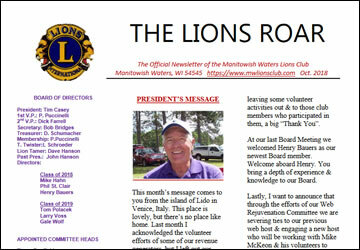 The Manitowish Waters Lions Club promotes camaraderie and good fellowship. Members can get to know their neighbor, network and make contacts with the local community. Whether home grown or transplants to the northwoods, all members of the Club bring a wealth of rich and diverse personal stories, life experiences and are easy to get to know. Awards Night Cocktail time is 5:30 PM until time of the dinner at 6:30 PM. Speakers are occasionally scheduled for the dinners. News, member profiles, dates, events and activities are featured each month.